Alleged child abductor not allowed to enter a plea – matter has been transferred to Sandilands for an evaluation…. 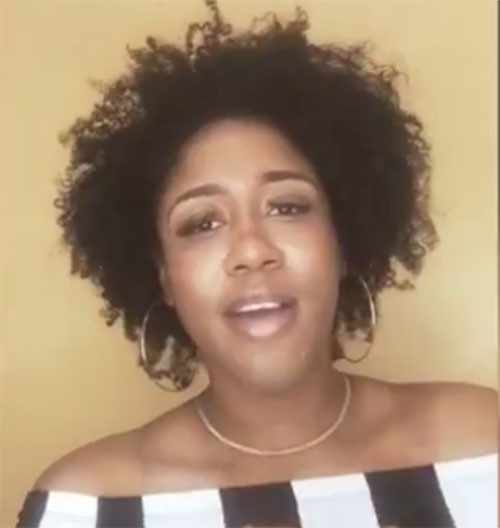 BP BREAKING| Natural hairstylist and businesswoman, De’Edra Michelle Gibson, was brought before the magistrate court this afternoon in those three abduction incident which occurred between February and March. It is alleged that Gibson snatched the boys in different incidents and one was taken to a fast food restaurant before returning the child. She is said to have a long history of mental illness. Gibson, Bahamas Press is learning, was deported from the United States back to the Bahamas for similar offenses. She was not allowed to enter a plea due to the fact of her condition and was released to the care of Sandilands Rehabilitation Centre where a psychiatric evaluation will be conducted. Previous articleWSC announced a second wave of promotions to further divide staff – Some workers only in WSC for one year promoted!